The French local authorities allow us only a restricted amount of vehicles to participate. 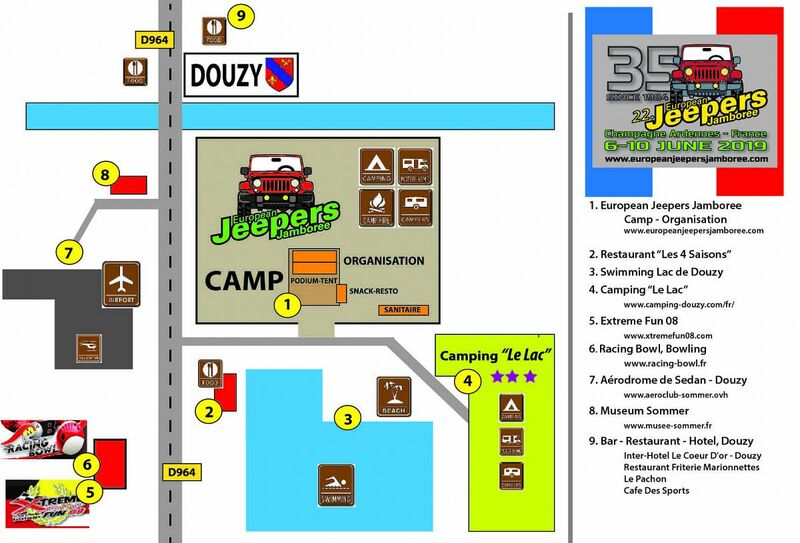 The European Jeepers Jamboree is a fun-filled event created exclusively for Jeep and Willys vehicles. Each year, it sees hundreds of owners from all over Europe follow a series of enjoyable scenic routes or take part in demanding technical and off-road challenges. Whether your Jeep is a standard base model or is heavily equipped for off-road terrain, we have routes to suit your experience, your vehicle and your level of skill. But, above all, the European Jeepers Jamboree is a perfect opportunity to have fun and share your passion with enthusiasts from many countries. During the event, you can choose from on-site camping or one of the many hotels and guesthouses in the local area. Wherever you stay, you’re sure to have great time as you socialise with fellow Jeepers. As we are keen to welcome Jeepers from as many countries of Europe as possible, we regret that we can only allow a limited number of vehicles from each country. The First European Jeepers Jamboree was held in 1984 in Belgium, near Grand Bru, with Jeep owners from six different countries taking part. In its early years, it was organised by the Original Jeep Owners Club from The Netherlands, whose idea was to recreate a European version of the popular American Jeepers Jamboree. Due to an increase in numbers, the third, fourth and fifth editions of the Jamboree were held in Harze, after which the event moved south to Bouillon near the French border. Around this time, an independent organisation was formed to take sole responsibility for the running of event. Every owner of a Jeep or Willys 4WD vehicle, built from 1941 until the present day. How about kids and dogs? Kids love coming to the jamboree, and we’ve made sure there are plenty of fun events to keep these future Jeep owners occupied. Your dog is also very welcome, but if they’re travelling off-road in your vehicle, makes sure they are safely secured in a harness to avoid any accidents. At all times, please ensure they are kept on a leash. Do I need to prepare my Jeep? Whether your Jeep is fresh from the dealer or equipped with winch, suspension kit and mud tyres, it will be fully inspected to decide which route it is most appropriate for. All vehicles must carry a first aid kit and a heavy-duty tow strap and attachments; just in case you get stuck or have to help others. Unique Route Program 3 days of routes! Friday the first day is an cross country touristic route of 110km passing magnificent countryside and picturesque towns ending at one of our off-road terrains. The second and third day are our traditional routes with a number of off-road terrains. These routes can be easily followed using a road books, and on the Thursday evening there will be a short session where you can learn how to use them. Due to recent changes in French law, it is forbidden to drive on nearly all forest and country roads. When planning the routes, we have therefore included large sections which go through private land and gravel pits. This is where you’ll find the off-road sections of the routes. Which route should I drive? Both routes on Saturday and Sunday give you the chance to test your skills on off-road terrain. Scenic Blue sections are for standard, non-equipped Jeeps and drivers with little or no off-road experience, while Red sections are designed for vehicles with special mud-tyres and suspension or lift kits installed. The challenging Black sections are for skilled off-roaders with modified vehicles that equipped with working winches and differential lockers. On the first day (Friday) you’ll have the opportunity to test your driving skills and techniques on a special Mud Trail. This will give you the chance to warm-up for the next few days and get acquainted with our new electronic checkpoint system. 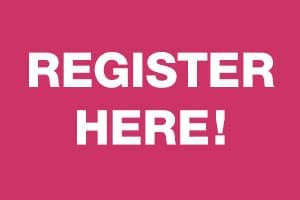 If your vehicle has Black route authorisation, you can also take part in The Dutch Rebel Trophy – a demanding challenge in honour of the late and much-missed former Chairman, Ruud van Huët. Safety is a major consideration at every European Jeepers Jamboree. So, to avoid serious accidents, this year’s event will require all passengers to wear a safety belt. It is also illegal to carry passengers in the rear of a vehicle which is not fitted with a bench or seats. Please be aware that marshals will be checking to see that these rules are followed, both at the start and along the route. This year we have our event terrain in the little town Douzy . There are a number of facilities we are able to use since it is a part of the local camping and swimming pool. At arrival go to our event tent where the administration is. Bar and food is available. We are located on walking distance from the town center where restaurants and bars are. Also a Bowling facility and indoor Karting is next to our event site. Although always popular, the camping facilities at the Jamboree are basic which is a part of the official Camping Municipal . There are toilets, but water and showers are limited. We do have electricity, but recommend you bring along a long extension cable. There will also designated places for you to light a campfire, unless the conditions are extremely dry when these will be limited to avoid forest fires. So that all Jeepers can get a good night’s sleep, there is a traffic restriction after 23:00hr. Late arrivals cannot be enter or set-up at the site after 23:00hr. You may have to stay on the entry road for the night till early next morning. Just as you would on the road, please remember not to drink and drive when staying on the campsite. Every morning we’ll be serving up a filling breakfast in the event tent. You can buy a set of four tickets for Friday, Saturday and Sunday; or a set of three breakfast tickets for Friday, Saturday and Sunday and Monday. We do not offer a repair service, take care for your vehicle that you come in good shape. In case of problems we are real Jeepers and try to help each other. 00:30 End of the event. You will receive an e-mail confirmation, than the registration invoice will be sent to you. Payment have to be made in full within 8 days after you have received the invoice. Only paid registration will guarantee your participation. If you do not pay within 8 days, your participation application will be cancelled. Cancelation of participation can be made without any reason till 31. Mai 2019 this will guarantee a full 100% refund of payments made. After this date we cannot process any cancelation payback. he Foundation 4 Wheels and co-organization is not liable for any damages whatsoever that could occur due to the participation in this event. This is also valid for the 4 Wheels Foundation and co-organization, it’s representatives or helpers, the officials safeguarding the event, as well as other (third) parties participating to the event. Legal recourse is excluded for participants and their families. Furthermore, signing implies adhering to the provisions of this event.Moreover the participant herewith declares that during the event, the vehicle is covered by liability insurance as described in the legal regulations of the country where the vehicle is registered, the vehicle has passed local MOT and that every person driving the vehicle is in possession of a valid driving license.